The old Wine RVLT team has finally unlocked the doors to their permanent premises on Carpenter Street and it’s everything we were hoping it would be. 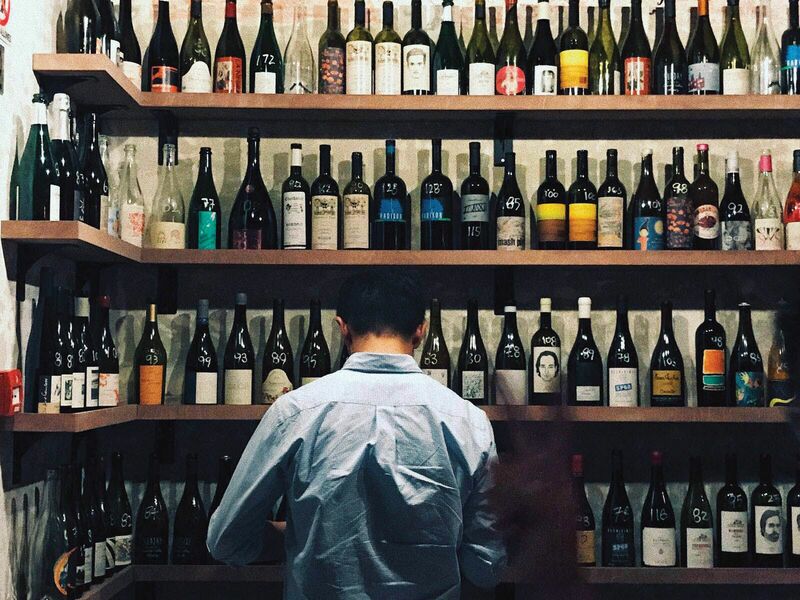 The place is a treasure trove of organic and biodynamic vino, and veteran sommeliers Al Gho and Ian Lim have sourced more than a hundred wines for our drinking pleasure. The pioneering champions of all-natural wines in Singapore offer an assortment of uncompromising quality ranging from glorious unfiltered Bordeaux crus such as Chateau Massereau, sparkling Croatian MilleÅLsime Pjenušavo Vino and organic Don & Kindeli pinot gris from New Zealand. They seek out sustainable wineries with a strong connection to their terroir. The grapes naturally fermented to create an always different and changing wine. You won’t find a physical list of their offerings; however, you can trust your host to ask the right questions to guide you through the bottles on display, or pick from the daily selection of red, white, roseÅL or one of the best-selling cloudy unprocessed orange wines. No spirits or cocktails here, but who needs it with such an exciting selection to explore.